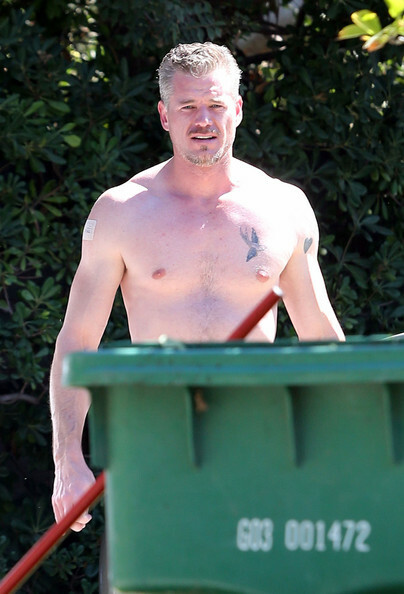 Grey's Anatomy's Eric Dane was spotted without his shirt on. 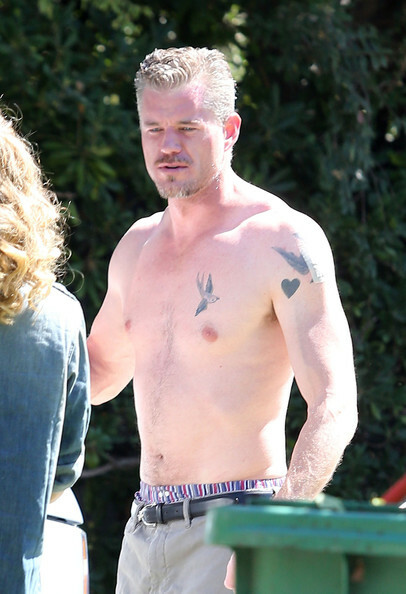 Just a day after the show's fans saw Dr. Mark Sloan meet his end, the hot actor greeted his wife Rebecca Gayheart shirtless as she returned home. Dane, who decided to leave the hit show after six years to pursue other projects, told TV Line in July, "I am extremely grateful to everyone at Grey's, ABC and Shondaland for the experience and memories I have had over the course of this run. It has been wonderful to work alongside and learn from a creative force such as Shonda Rhimes."